Lindsay Kenney Partner, Paul Kent-Snowsell sought damages for his client who had been injured by a vehicle while standing inside a Langley Deli. The car, driven by an elderly man, came through the front window of the shop and crashed into the deli counter. 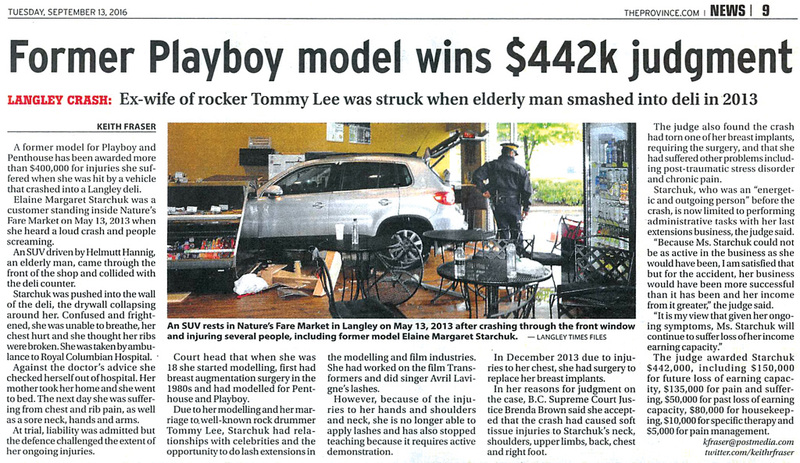 The judge awarded the plaintiff $442,000 for injuries and related costs.